Did the Sultan of Brunei Buy 10 Aston Martin One-77s for His Billion-Dollar Car Collection? Back in February we reported on the mysterious filthy rich individual who purchased 10 Aston Martin One-77 supercars, limited to just 77 examples, for $1.7 million apiece or $23 million in total including fees. 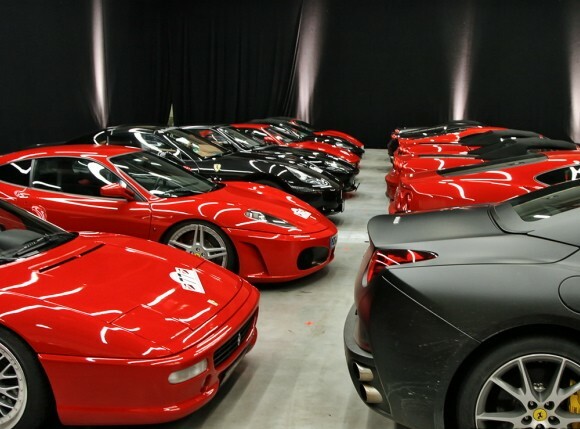 Now educated insiders are speculating that the Sultan of Brunei bought the cars to add to his multi-billion-dollar, 7,000-strong car collection, the world's most expensive auto hoard. According to Guinness World Records the Sultan's collection includes over 600 Rolls-Royces, more than 450 Ferraris, 570 Mercedes-Benzes, 380 Bentleys, 170 Porsches, dozens of Koenigseggs, and 20 Lamborghinis to name a few. He owns several rare custom, one-off and concept cars, some worth tens of millions apiece, including a Ferrari Mythos, a Jaguar XJ220 by Pininfarina, a Bentley Java, a Bentley Dominator SUV, bespoke Rolls-Royce and Ferrari station wagons, a Porsche Carma and a Koenigsegg Agera. Known for buying multiple models of supercars in order to have one in every color, he owns several McLaren F1s, six Ferrari FXXs, four Ferrari F40s and three Ferrari F50s. The Sultan, who's worth an estimated $20 billion, stores the collection in five heavily-guarded airplane hangars and employs a team of mechanics and specialists to keep the cars in perfect working condition. Did the Sultan of Brunei Buy 10 Aston Martin One-77s for His Billion-Dollar Car Collection? originally appeared on Luxist on Thu, 29 Jul 2010 18:02:00 EST. Please see our terms for use of feeds.